Does anyone have any recommendations for kit insurance? I'm UK based. Thanks. Is it possible to be a sound man for wedding? I haven't dig deep into sound yet because I learn better when I play with toys than just reading about them. Please pardon my inexperienced. I been interning under a wedding videographer and we have been talking about me becoming a dedicated sound for the wedding. How could this be done theoretically? Should I have many wireless lav plug into my mixer during the ceremony? And I think I would just walk around with a short boom for everything else. You don't have to go into the nitty gritty detail. I just want to know if this could theoretically be done. What do you use for wireless sound to the director. Hi All. I'm putting together an article for P3 Update for December's issue and the topic I've been given is Recording Audio in Extreme Weather. It's a short article, only 250 words and they are mainly looking for product placement so I have enough content to write it. But this article has me fascinated by the topic and I am interested in hearing people's stories about weather related problems they've encountered and how they were able to solve them. Most of my work has been bag work around LA so the weather's consistently nice. I have worked in extreme heat in the desert where dust has caused the most problems... and I've worked in the rain... but I would love to hear from all of you who have been able to work on shows like Deadliest Catch with cold and salt water... or from people who have worked in extreme cold conditions like the Arctic... or maybe struggled with extreme moisture and humidity in warm, tropical locations. Any stories you feel like sharing would be awesome! I would love to learn from your experiences. Some of the things I'm putting in the article so you don't think I'm just trying to have all of you write it for me... RAIN Condoms (non-lubricated!!) to protect transmitters. 'Mighty Fix It' (Rescue) Tape to wrap connections where the lav plugs into the TX... I've had sweat from bodies during a fitness video run down the back and short an SMv... Remote Audio's 'Rainman' as a way of helping keep moisture and the sound of raindrops off a boom mic Silica Packs - to absorb moisture and help keep gear dry M.T.O. Unlimited - Sound, Audio, and Slate slickers DESERT Dust is the main problem I've experienced... getting in everything. Connectors. Inside gear. Compressed air - to blow dust out of gear. Touch screens can be 'touchy' if left sitting in direct heat UNDERWATER Voice Technologies VT500WATER COLD Heating packs??? 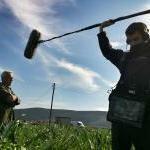 Sound Recording Tips for Reality! - POST REMOVED - Sales not allowed. Please read below guidelines for use of this forum. Hi everyone, I am the developer of an indie Racing Game and i would be very happy to collaborate with someone that have skills or experience in recording sounds for games. Me and a friend started working on that project about 2 years ago and we do that on our free time. That is why the progress are kind of slow but we try our best to work on it little by little. Here is the link to our project : http://www.redline-e.com/ You can download the game for PC and MAC at the moment. But later we plan to make an Android and iOS version as well. I am a big car enthusiast myself, and i know how important are sounds in a car simulation. I would do my best with your recommendation to update the engine sound simulation inside my game. Right now its very simple. You can add as much sounds as you want, usually i go for 3 engine off throttle sounds and 3 engine on throttle sounds. I also usually add Idling sound. So, the samples are like : - 1000 rpm sample, - 2000 rpm sample, - 4000 rpm sample, - 6000 rpm sample. Then i up or down the picth to make the seemless transitions between samples. I guess that most racing game sound engine work kind of same way. As i have no recording equipment and also no skills and no experience to record car sounds, that is why i ask if someone would like to participate to our peoject. Waiting for any kind of feedback or help. Regards. How to be invisible in a 360 shoot. New York City - Available for Production Sound! Hi all! If you are looking to fill any position in the sound department for any production in NYC or nearby, look no further! I'm available to work as a mixer, boom op, or third. I graduated from NYU with a degree in Music Tech, taking many classes in film production and film sound, as well as working in over 20+ student films mostly as a mixer or boom op. While at NYU, I was mentored by production sound mixer Chat Gunter. I now have a few years of experience in production sound under my belt, and before that, many more in music recording as a recording and mixing engineer. If in need of equipment rental, I own a nice kit, including Sound Devices 302 Mixer, Zaxcom Nomad 10 Mixer/Recorder, Sennheiser MKH 416 shotgun mic, pair of AKG Blueline modular microphones, and Sennheiser wireless. I have superb work ethic, which some have claimed to be second to none! Looking forward to meeting and working with you! Full profile, equipment list, credits, clips and rates at stonetowermedia.com. Or, just call 201-677-0940 to discuss your project and get a quote. Thanks! New to LA Sound Op - Hello! Hey Guys, Thought I would share this crazy story. I was shooting a reality show for Much Music in Banff, Alberta and the director approached me the morning of with a crazy request (as per usual). He wanted to have the contestants start at the top of this hill and go tubing down to the bottom delivering lines. I thought it would be a great chance to try out my Lectro SMVs at 250mw. The talent was about 150 meters away at the top of the hill and I had to pull my 411s out of the bag to get the antennas higher up but as you can see from the picture, pretty much full RF the whole way down. Great work Lectrosonics!